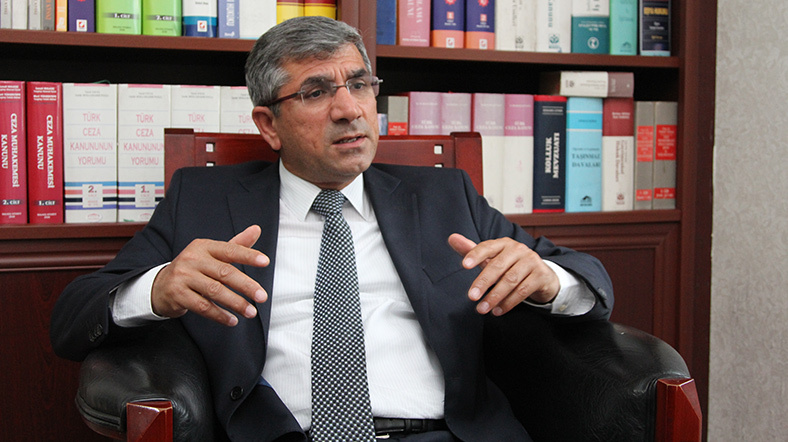 Quote; "A prominent pro-Kurdish lawyer and rights activist has been shot dead in Diyarbakir, south-eastern Turkey. Tahir Elci was killed in a gun battle between police and unidentified gunmen. Two police officers also died. Police in Istanbul fired water cannon to disperse crowds demonstrating against Mr Elci's death. A curfew has now been imposed in the neighbourhood where Mr Elci was shot. Mr Elci, who was head of the Diyarbakir Bar Association, had previously been detained and received death threats after saying the separatist PKK should not be regarded as a terrorist organisation. Many are clearly very sure what happened...! 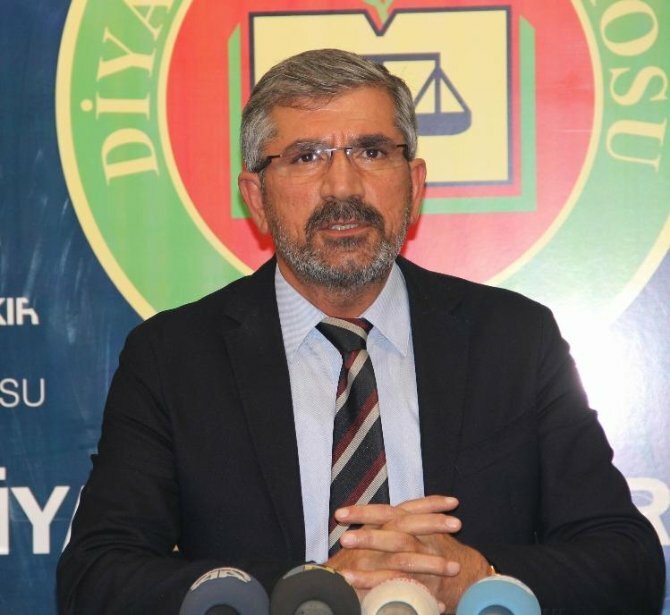 Quote: "Video footage, captured moments after Elçi, along with nearly two dozen lawyers, held a press meeting in which he called for an end to the ongoing battle between the terrorist Kurdistan Workers' Party (PKK) and the Turkish security forces conflict, has generated a series of queries about the possible perpetrators. In his statement before the press, Elçi was trying to attract attention to the damage suffered by the historic Four Legged Minaret, part of the adjacent Kasım Padişah Mosque, in recent clashes. Elçi was also a lawyer at the trial that followed the Uludere massacre in which 35 Kurdish villagers were killed on the assumption that they were the members of the PKK. It was later revealed that the villagers were smugglers but not the terrorists. The issue still remains unsolved. One of the videos which has appeared on TV stations shows a shootout between police officers and a group of three men surrounding a white car next to a small fruit stand. It is thought that the three men near the car were plain-clothes officers. When one of the plain-clothes police officers opens the car door, a man inside fires his gun, shooting one of the policeman, while the two others run away. The police officers respond with heavy gunfire as journalists stand behind them. Despite the close range and the many shots fired, none of the attackers were injured and instead made good their escape. Seconds later, Tahir Elçi can be seen lying face down. No journalists were even able to approach the place where Elçi lay due to the intensity of the gun battle. Here are some questions raised by some officials from the pro-Kurdish Peoples' Democratic Party (HDP) and lawyers in pursuit of the truth. 1-It is understood that the men inside the car had been traced to their location. Were they running away after they had committed an act of terrorism or heading for a place where they could stage an attack? 2-Why didn't the police officers take the required security measures when stopping the white car? 3-Why was the car not stopped by an armored police vehicle instead? 4-How many police officers were on duty when Elçi held the press conference? 5- Did the policemen consider the safety of others when they started shooting? 6- Why were Elçi and his companions not transferred to a safer place as soon as the shootout erupted? 7- Why didn't the police who shot at one of the suspected terrorists follow the man after the gun battle? 8- To whom did the gun, seen next to Elçi's feet after he was shot, belong? 9- Was the cartridge of the bullet that hit Elçi found? 10-Could one of the police officers who shot the men running away from the scene have mistakenly shot Elçi? Prime Minister Ahmet Davutoğlu, in a statement after the killing on Saturday, did not deny the possibility that Elçi was assassinated, saying that Elçi could have been caught in the crossfire between the terrorists and the policemen." Go to: http://www.todayszaman.com/national_questions-raised-over-tahir-elcis-murder_405643.html For full article. Quote; "On Sunday, the EU and Turkey approved a joint plan to combat the flow of refugees to the bloc, under which the EU member states will allocate €3 billion euros to Turkey and boost negotiations on its membership in the EU, according to President of the European Council Donald Tusk.